Online ordering menu for Bubble Hut. 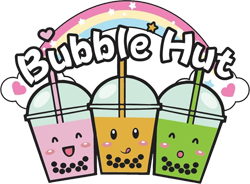 Long Island's Best Bubble Tea & Sushi Restaurant in Bellmore! We offer a wide VarieTea of Bubble Tea Drinks & serve fresh-made Sushi. —————————————————————Aside from Bubble Tea & Sushi, we also serve Ramen or Udon Noodle Soup, Hershey's Ice Cream, and awesome Mochi Ice Cream. —————————————————————Find us in Bellmore Village on Bedford Avenue. Order online for carry-out or delivery today!